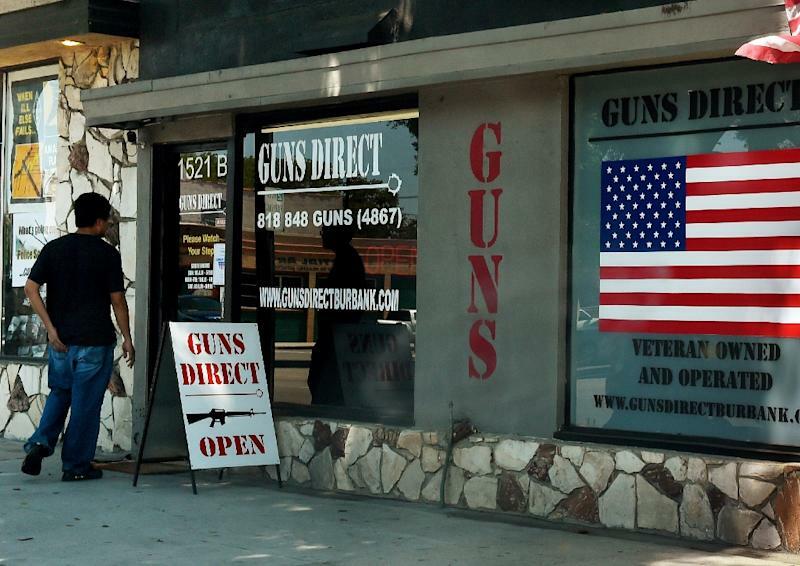 Randolph Township (United States) (AFP) - The Paris and San Bernardino attacks have fueled a surge in US gun sales, as Americans seek to protect themselves -- and stock up in case lawmakers finally act to tighten firearms controls. Since a Muslim husband and wife opened fire in California on December 2, killing 14 people and wounding 22 others, sales at the RTSP range in New Jersey -- one of the largest centers in the northeastern United States -- have surged 50 percent, according to one of its owners. "We saw a spike after Paris and San Bernardino even more so," Rick Friedman told AFP. If gun purchases follow the same pattern as after previous mass shootings, Friedman said, sales will slow after several months. As well as selling firearms, his sprawling facility in Randolph has 21 ports or spaces on its range from which clients can practice shooting. 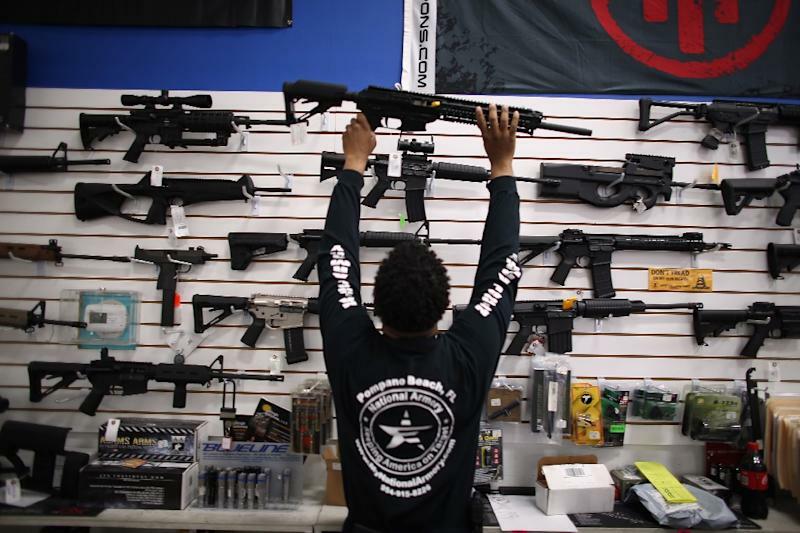 Just down the road in Jersey City, Caso's Gun-A-Rama saw an equal jump in sales, which its manager attributed to nervousness over political chatter about ramping up anti-gun legislation. "That's when everybody has been panicking," Lisa Caso said. P. James Debney, CEO of storied US gunmaker Smith & Wesson, told investors last week that his company sees "growth in the handgun portion of the consumer market as a longstanding trend," as he discussed its latest quarterly earnings. Following a 32 percent increase in sales for August, September and October -- before the Paris and San Bernardino attacks -- the manufacturer raised its earnings target for the full financial year. The strong figures jibe with statistics from the Bureau of Alcohol, Tobacco, Firearms and Explosives (ATF), which says the number of handguns manufactured in the United States has quadrupled between 1998 and 2013. And 2015 should set a new record in gun sales, according to data from the FBI, which conducts background checks on such purchases. According to the independent Small Arms Survey, some 270 million firearms are in circulation in the United States, which has a population of around 322 million people. "People are reaching out and not just those that support the Second Amendment. Not just traditional Republicans. It's pretty much everybody," Friedman said, referring to the part of the US Constitution that gives citizens the right to own guns. One of his clients, Abby, said she believed more people should consider gun ownership. "I think everybody should think about it," she said after a shooting session. Mass shootings are historically rare in New Jersey and the state has some of the country's strictest anti-gun legislation. 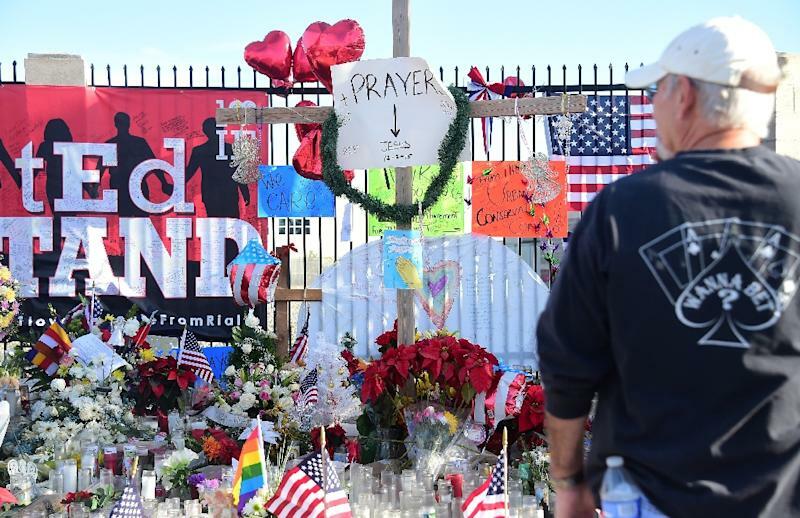 But that was of little solace to range patrons, including former policeman Con Hartnett, who said that the fact that the San Bernardino attacks took place in a facility that normally serves the disabled was further proof of the vital need for guns. "It's the softest target you could imagine. And it happened," he said. David Yamane, a professor of sociology at Wake Forest University, said "self-defense has always been a component of American gun culture alongside hunting and recreation. "But self-defense tends to be much more prominent within the last 30 years." He pegged the change as part of a broader shift in society toward what he identified as "a greater sense of fear." This dynamic, he said, comes from a combination of factors: foremost an increase in crime between the 1960s and mid-1990s, but also major societal changes relating to minorities and women. "It was easy for people to have a sense that the entire society was falling apart around them," he said. On top of this, he added, is the proliferation of media and the emergence of the 24-hour news cycle. "Anything bad gets magnified much more today than it did before," he said. But for Friedman, it all boils down to there being a "different situation in this day and age." "We are at a period that I don't think we've ever witnessed," he said, alluding to fears about terrorist plots on US soil. "It's an unfortunate one, but it's one that only reinforces our core beliefs that you have the right to protect your life." I Volunteered At 200 Food Banks Across The U.S. Here's What I Learned About Hunger In America.